For the International Women’s Month, the Film Development Council of the Philippines (FDCP) is conducting a month-long celebration filled with activities putting the spotlight to women empowerment. 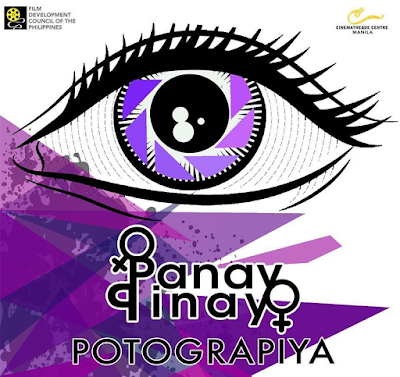 The celebration will kick off with the opening of the photo competition, dubbed as Panay Pinay Potograpiya, that features women who have demonstrated significant roles in promoting change and the launch of Panay Pinay Pelikula with the screening of the movie Ganap na Babae on March 8, 2017. Panay Pinay Pelikula screenings will run from March 12 to 18, 2017. “Planting Seeds: The Future of Philippine Cinema,” a film education symposium for film educators and students that started in the regions will culminate with its Manila leg on March 9-11, 2017 with cultivators including award-winning directors Joel Lamangan, Jose Javier Reyes, and Cathy Garcia-Molina to name a few. FDCP has also partnered with Philippine Commission on Women (PCW) through CineJuana, a series of free film screenings that will run from March 20-24, 2017 at the Cinematheque Centre Manila. Other activities include Espacio Femenino (Women Space), a series of free film screenings featuring women-centric documentaries directed by Spanish female filmmakers. “We are proud and excited to celebrate the International Women's Month through our activities. We hope that through our program, Filipino women audience, filmmakers, and educators will be inspired and encouraged to not just celebrate their femininity but also use it to affect positive change in our society,” said FDCP Chair Liza Diño regarding the program. For more information, visit the FDCP and Cinematheque Centre Manila Facebook page or email cinematheque@fdcp.ph.